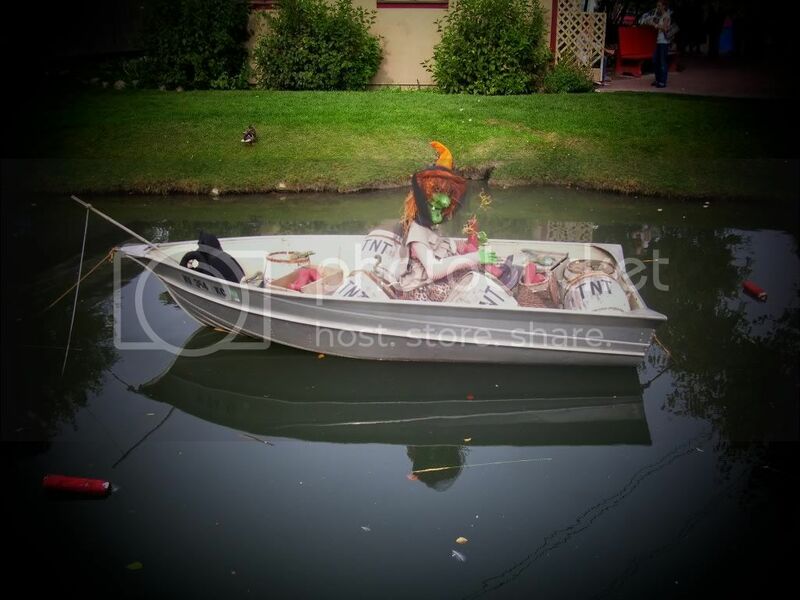 Gardner Village is THE place for Halloween! If you are visiting Salt Lake during the month of October, you do not want to miss a chance to visit Gardner Village! 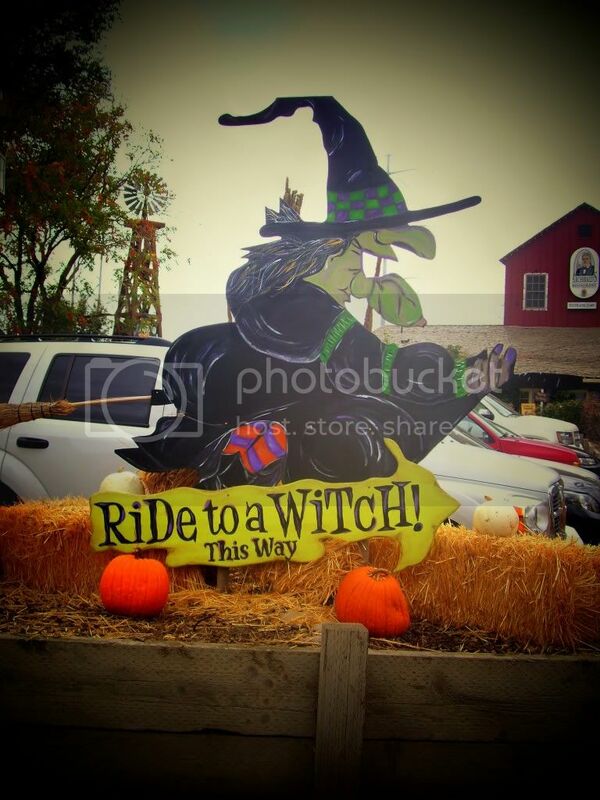 Whether you are there for the shopping, the Witchapalooza Music Dinner Show, Ride To A Witch, Breakfast With A Witch, Witches Night Out, or just to walk around and look at the witches and do the Witches Scavenger Hunt, you will have a great time! We took the kids to the sold-out, always popular, Breakfast With A Witch, and we are definitely going to make it a yearly Halloween tradition. 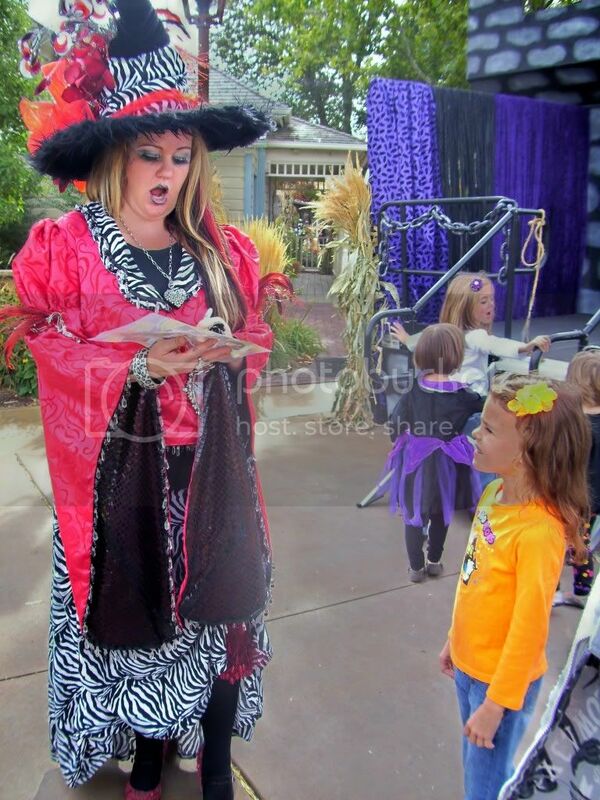 Lucinda The Gardner Village Resident Witch is always a delight, as are all of the other witches. Upon checking in for breakfast, they present you with an autograph sheet to have all of the witches sign. The breakfast is phenomonal, and consists of everything you can think of for breakfast! While you are eating breakfast, the witches mingle with each different table, and then do a presentation on the stage consisting of "Rat Chorus", singing and dancing, magic shows, and dancing to Thriller with all the kids. After Breakfast With A Witch, we wandered around the village and filled out the Witches Scavenger Hunt form. Even though we did the scavenger hunt last year, it was still new and different. The witches were in different locations, and the specific witches we had to find were also different. After filling out the scavenger hunt form and turning it in for a 25 cent cookie at the Naborhood Bakery, the next thing to do is take a trip over to Ride To A Witch. 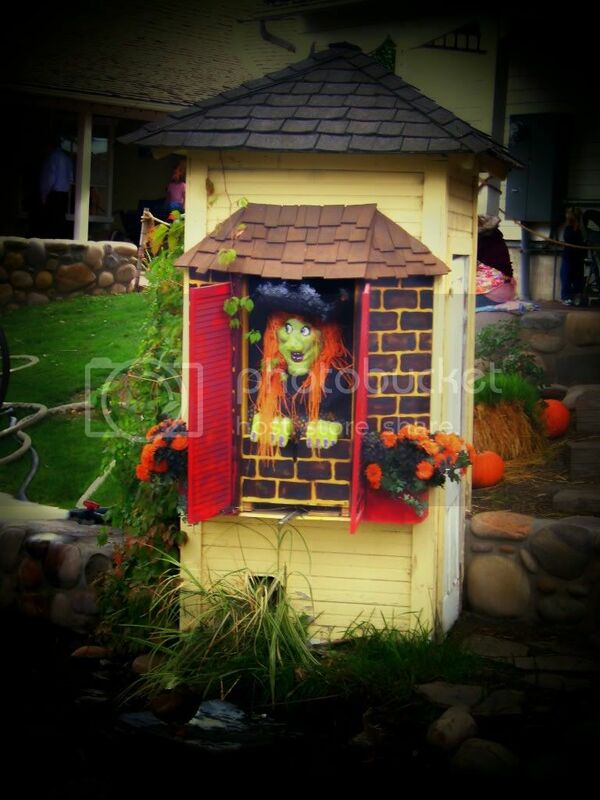 This is where you get up close and personal with the witches, and even get to take a tour of their home and yard! Gardner Village has many more events happening in October. CLICK HERE for more information and to read more about the events. Their upcoming Witches Night Out is on Friday October 22nd and Saturday October 23rd, and is always a great time! No matter when you go to Gardner Village, you will always have a great time! Take I-15 to 7200 South, and then turn Right, which is West. Take 700 West southbound until you reach 7800 South. From there, turn Right, which is West, and continue until you see Gardner Village on your Right. Read more from Michelle Powell at www.enjoyutah.blogspot.com.